"Begra I, 1960 at Master’s Field, Miami, Florida with pleased new owner Jerry Morgan at the wheel. Crouched beside the Begra is Henry Grady, co-designer/builder. Standing behind is Bryan Webb, Grady’s business partner in Import Motor Parts. Mechanic-helper Ivan Trafimof making adjustments." 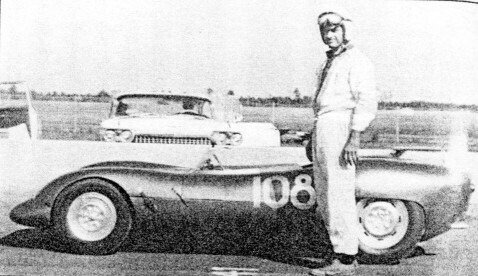 Wes Glantz - raced 9/64 at Lime Rock - current location is unknown. At Miami Master's Field, HM winner Jerry Morgan #108 started scratch in a field of 26 and finished 5th OA and 1st in class... extending the car's record - 6 race meets, always 1st in class. I bought a Begra Mk 1 (VM 93.3) in 1962 or 1963 from Floridian Jerry Morgan and brought it up to New Hampshire, where I lived. I raced the car two or three years and sold it to a man in upstate New York (a Mr. Glantz, I believe). The car was very fast but had a lot of reliability problems. The 750cc Saab engine the car came with blew on its first outing. I replaced it with an 850cc Saab built to specs given to me by the Saab factory. This engine produced so much power that it would blow off the gear teeth in the Fiat 600 gearbox. I corrected this problem by replacing the solid clutch disk with one with springs in it to help reduce the shock on the gears each time I shifted. 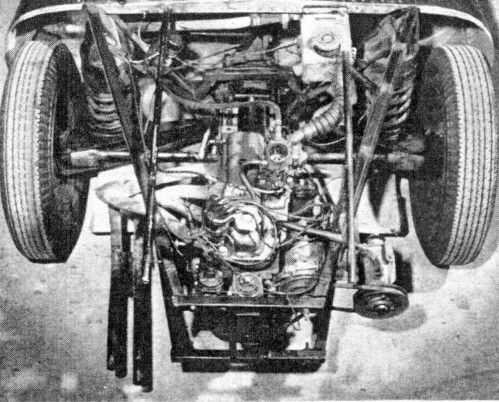 The car came with an unfitted Beach front body section which I adapted to fit, as the original aluminum body was rather tired. I also used the original aluminum rear body section as the basis for a plug to produce a mold for a fiberglass rear body. I really enjoyed the car. I remember a divisional championship race at Marlboro in which I had gridded last due to various problems keeping me from qualifying. It was a fairly large field of H and G Production and H Modified cars. The power of the Saab engine was such that I was running second by the end of the first lap and closing on the lead Osca at a rapid rate. Unfortunately, a mechanical problem forced me out, as was commonly the case. It’s a shame that the day of Specials is over. Today’s generation of racers is missing out on the fun of building and improving their own cars.